The Audi R8 is renowned for its performance prowess and low-to-the-ground athletic build. Thanks to the first Iron Man film, the German sports car became synonymous with the hero as it got tons of exposure as Tony Stark’s go-to vehicle. 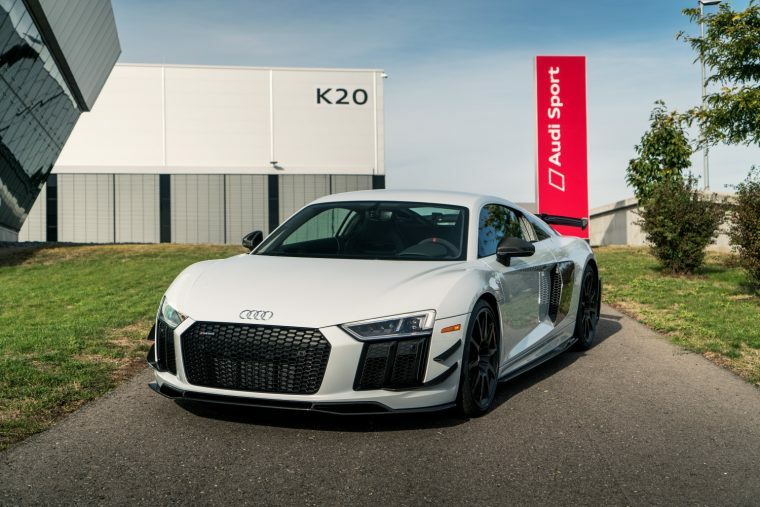 Now, 10 years later, the 2018 Audi R8 is even more powerful with advancements to its potent V10 engine under the hood. To make this vehicle even more enticing, Audi is releasing a limited Coupe Competition package, set to arrive next month. The 2018 Audi R8 V10 plus Coupe Competition package will be limited to just 10 units in the United States and will include a variety of preconfigured features designed to enhance the already impressive R8. This special edition will serve as the brand’s most performance-oriented production R8 model ever built, coming in at the ever-so-affordable price of $237,350. For all of that cash, you’ll get performance-based features like dynamic steering, carbon fiber shift paddles, a brake pad upgrade with titanium backing plates, a three-way adjustable coilover suspension, 20-inch milled-cut wheels with summer tires, and a carbon fiber aero kit (fixed rear wing, side sills, front spoiler, flics, and rear diffuser). On the aesthetic side, you can expect a Suzuka Gray exterior complemented by the black optic exterior package, which includes a black grille surround and front lower air inlets and rear air outlets. Inside, you’ll be surrounded by a full leather package for the upper and lower dash as well as the door and side panels. To round out the supreme luxury of this limited model, you can enjoy your favorite songs via the premium Bang & Olufsen sound system as you sit in the black racing shell seats with red contrast stitching and grasp the Alcantara steering wheel. With all of this fancy new equipment, the R8 actually loses weight and can reach a top track speed of 196 mph. While obviously impressive, we’ll simply have to dream about getting behind the wheel of this thrilling ride.